Starting seeds indoors a few weeks before it’s time to plant outside makes spring feel a little closer than it actually is, and if you enjoy gardening, it’s really exciting. But for those seedlings to grow healthy and strong, you’re going to need a little more light than a sunny south window can provide. The days still aren’t quite long enough to provide adequate light for seedlings. Fluorescent lights for 16-18 hours a day will help your seedlings grow healthy roots and establish leaves. That’s why you need a grow-light setup. Many garden catalogs offer beautiful, multi-tiered grow-light systems that would make any room more interesting. Unfortunately, they come with a pretty hefty price tag, too. 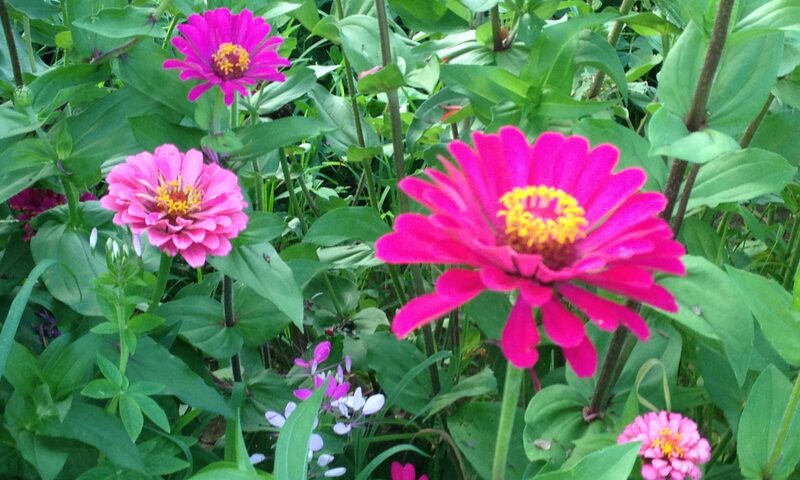 With seed-starting, I choose substance over style, and for an economical price, too. I repurposed a slightly worn, slightly rusty shop light fixture from the garage and moved it into the seed-starting corner of my basement. I don’t care how my seed-starting setup looks, just as long as it gets the job done, and at a reasonable cost. So here’s my seed-starting, grow-light system: it’s simply a 4-foot shop light suspended by chains from the ceiling, just a couple of inches above my seedlings, which are placed on a 4-foot-long table. The chain suspension allows me to raise the fixture as the seedlings grow taller. Specialized grow light bulbs that emit the full spectrum of light are available at most big-box hardware stores. But really, any fluorescent bulb will do the trick because it emits ultraviolet light that plants need to grow. I’ve used both kinds and saw no difference in my seedlings, which makes the regular, more-economical bulb my light of choice. Not all seed-starting systems are the same. You may not want a 4-foot light hanging from your ceiling. 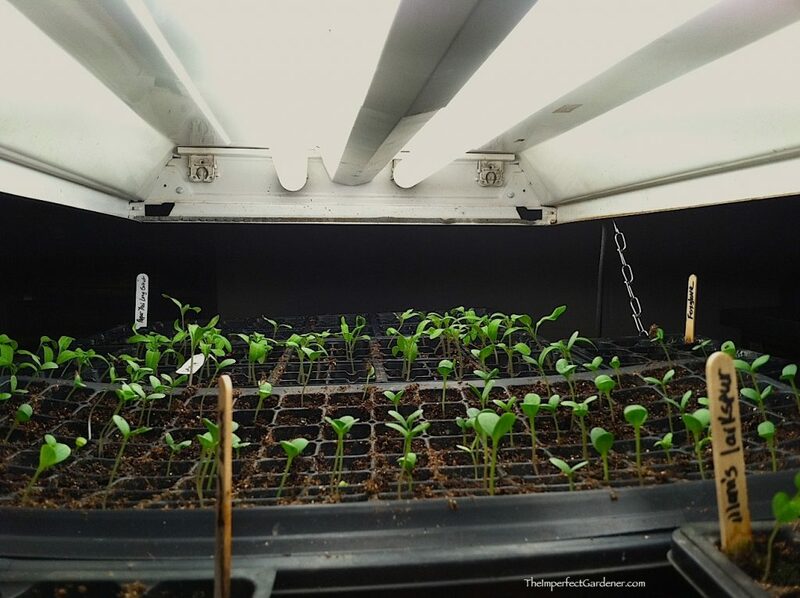 I’ve also used much smaller fluorescent lights both in my house and greenhouse for smaller amounts of seeds. Try setting up your own economical grow-light system that works best for your own circumstances. The investment is minimal, and you’ll be rewarded with healthy, well-tended plants ready to go in the ground. • Position the light so it’s about 2 inches above your seedlings and raise it as they grow. Positioning the light too far above the plants weakens its effectiveness, causing the seedlings to stretch toward the light and become leggy and weak-stemmed. I, unfortunately, know this first-hand. Fluorescent lights are not hot, so it won’t burn your tiny plants. • Keep the lights on 16-18 hours per day to allow the seedlings to grow healthy roots and establish primary leaves. • Avoid leaving the lights on 24 hours a day. A light-darkness balance each day is essential to plant health. Previous PostPrevious How large should your vegetable garden be?